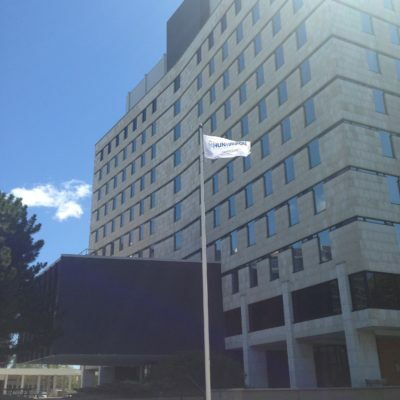 Throughout the month of May, volunteers across Canada request that buildings in their community fly the Huntington Society of Canada flag for a period of time. 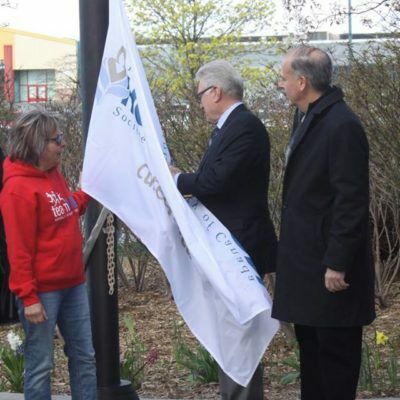 The flag raises awareness and honours those affected by the disease. 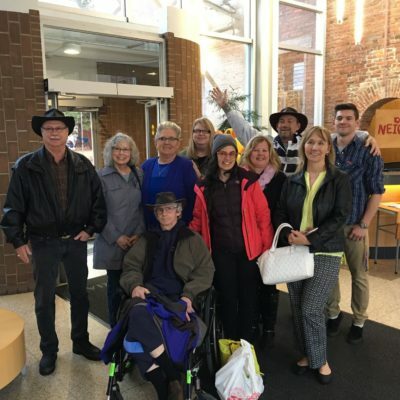 This movement is organized by volunteers wanting to raise awareness during May, that either may not have a monument or building to light up as part of the National #LightItUp4HD movement, or just to raise additional awareness. Along with raising the HD flag, some communities will help raise awareness by officially proclaiming May as Huntington Disease Awareness Month. “The Mayors and Councillors engage personally by reading the proclamation aloud for onlookers, declaring May as official HD Awareness Month,” says Bunny. Click here to see all of the flag raisings happening this month.